YMCA Kanawana in Quebec is doing its part to keep the air a little cleaner, the water a little clearer and the earth a little sturdier. Camp Kanawana began creating a green camp in the fall of 2004. The camp administrators developed a strategic plan, and identified the realities of what the camp could do to best serve its campers beyond physical activities. The mission of the camp began to reflect the environmental focus, and the camp completed its first phase this past June. One of the areas to be looked at was the water system, which included the drinking water, showers and toilets. All of the buildings underwent an ecological renovation. The water systems were replaced with eco-friendly alternatives provided by Clivus Multrum Inc., a firm that works with parks, golf courses, ski areas, nature centers, green buildings, etc. to develop eco-friendly facilities. Camp Kanawana installed reducers in all of its showers and sinks to reduce water usage, and replaced flushing toilets with compost ones to decrease electricity. The compost toilet concept may seem unfavorable for obvious reasons, but Mills said it is not a problem, unlike the odor from traditional portable toilets. The compost toilet captures the plant nutrients from excreta and converts them into fertilizers. As a nutrient recycling system, the end-products from the compost system are returned to the soil to assist in plant growth. As opposed to conventional systems, this is recycling and not putting harmful waste, loaded with toxins, into the drinking water and aquatic habitats. Along with water conservation, the camp focused on new ways to heat the water, improve lighting and reduce waste. In an effort to address heating, it switched from propane heat to one wood-broiler per building. 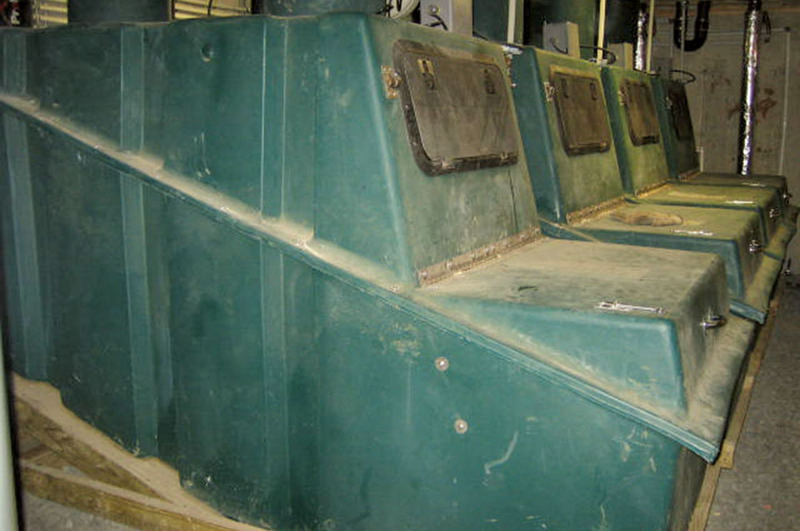 The broiler is able to heat 500 to 600 gallons of water with as few as five or six logs. Power pipes were installed to transport the hot water throughout the buildings. The camp capitalized on natural light by installing additional windows and skylights. Artificial light is set on timers, only to be used during the dark hours. The camp has also reworked its ventilation to be natural, disregarding fan usage. In order to cut down on other waste, CampKanawana created an artificial marsh. This helps with water treatment and eliminates waste from going into nearby lakes and streams. Reefs were planted in sand, peat moss and substrates with a plastic, vinyl lining. The water is pumped with air and treated in a natural process through the roots and substrates. The marsh is an ecological alternative to polluting the local wildlife. In addition to cleaner waste water, the camp developed a way to reduce waste in food products. The kitchen now uses a compost pile. The camp--which goes through about 800 to 1,000 meals a day--benefits by using the waste as fertilizer in an organic vegetable garden. The garden is another opportunity to educate the campers on organic food and how waste can benefit another round of crops. All of these changes are part of Camp Kanawana’s first round of an eco-friendly project, and so far, the camp has had positive responses. YMCA Kanawana is the first camp in Quebec to showcase environmental sustainability. It is striving to convert its site to a more ecological model and a new educational tool in order to be more environmentally conscious. It is also making improvements in using the facility year-round. Although the first phase has been completed, the project has only begun. YMCA Kanawana plans on adding three-season cabins and pavilions in 2008 and developing an environmental pavilion for year-round use by 2009-2010. Heather Reichle is a freelance writer in Columbus, Ohio. She can be reached via e-mail at hreichle28@yahoo.com.